We had one of the best, if not The Best department meeting last night. 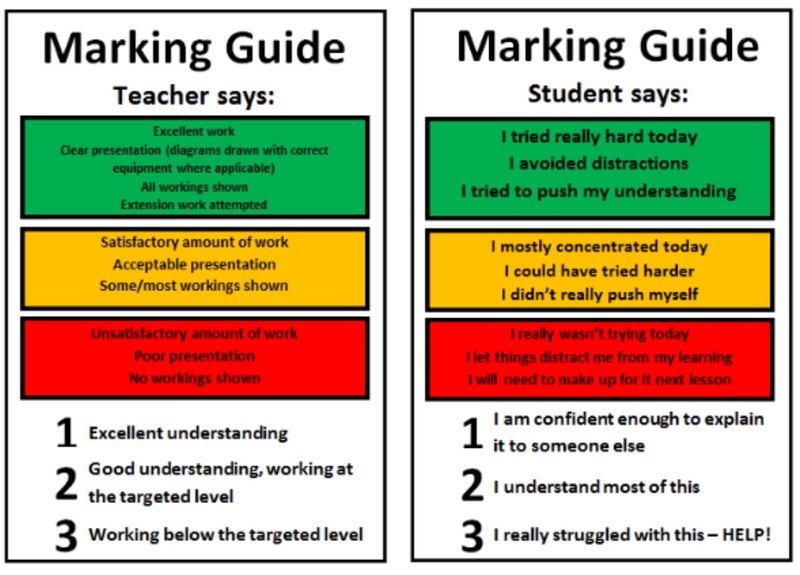 There was one item on the agenda, which lasted for the whole hour: marking for feedback and improvement. And the reason why it was the best was that we spent the hour looking at all sorts of examples of our own practice, identifying the good practice and discussing how we could improve. The collaborative approach meant we could share the difficulties we found, and suggest ways together of overcoming these, so that our feedback became productive for pupils improvement. The photos shown on here are just mine, but attempt to cover the areas of discussion we had. I know I haven’t got it right yet, so by the end of the meeting, had an armful of strategies to try. The school policy is for a comment mark using http://www.ebi.com (what went well, even better if, comment), and in maths the regularity of this is once a fortnight in years 7-9 and once a week in years 10-11. 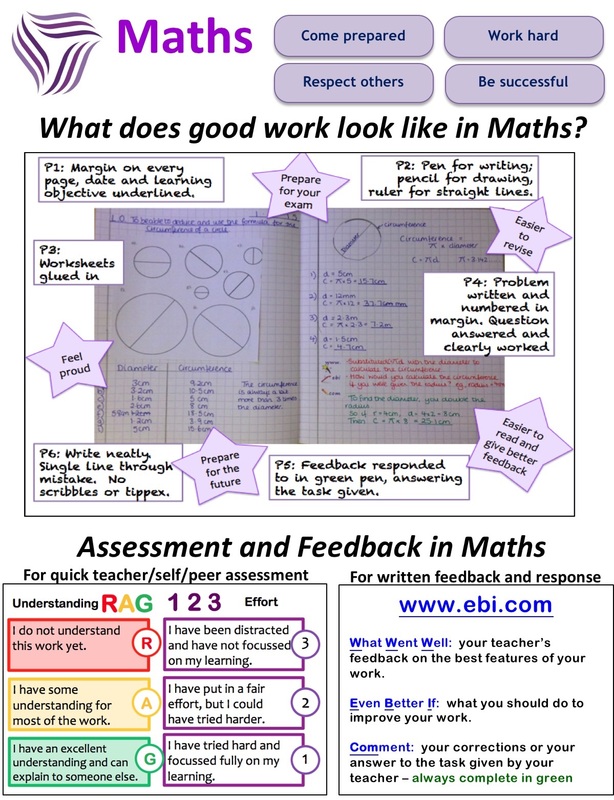 Assessment feedback is included in the comment marking, and most of our team use home work as a comment mark, with occasional class work being comment marked. 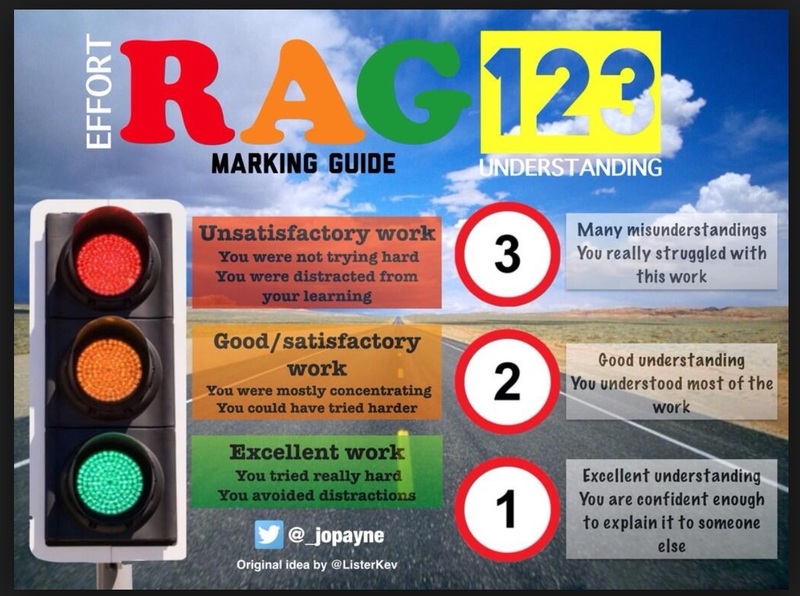 Using home work creates its own issues with pupils not completing it, or handing in late etc, but the focus here is purely on the feedback and improvement. 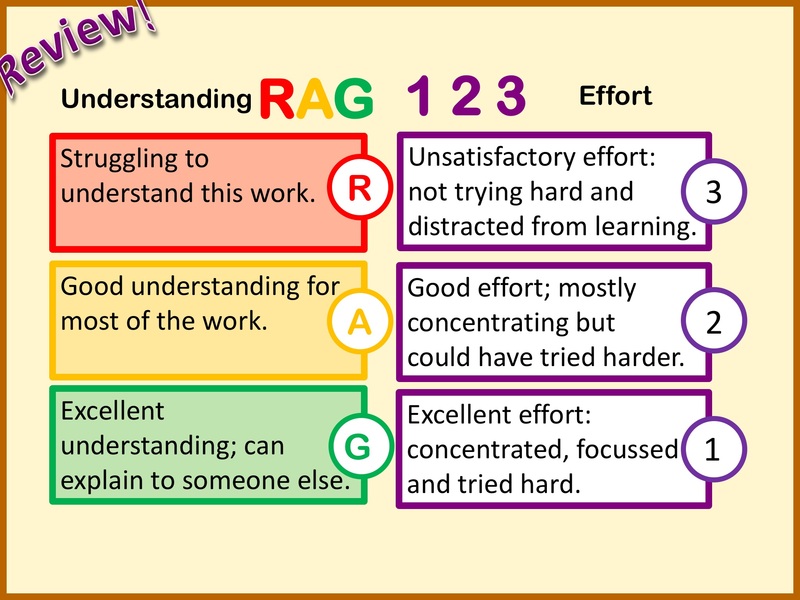 The biggest thing we noticed was that in a good chunk of the samples, the teacher was working harder than the pupil, or the amount of teacher feedback compared to pupil response. We were doing our best to give quality feedback, but the resulting effort of the pupil was minimal and meant our feedback wasn’t doing it’s job in helping pupils improve. So as well as dealing with the pupils’ effort, we went on to discuss methods of giving concise and effective feedback. We discussed giving target or question codes, and then projecting the questions for each code for the pupils to complete, as suggested by @shaun_allison in his blog classteaching and in his book with @atharby Making Every Lesson Count (great book – I’m really enjoying reading). A second idea was to use @Missbsresources Dirt Bank, and start creating our own to share, where pupils have a guided question, followed by a similar question without scaffold. Again, these could be projected, or printed out for the pupils. 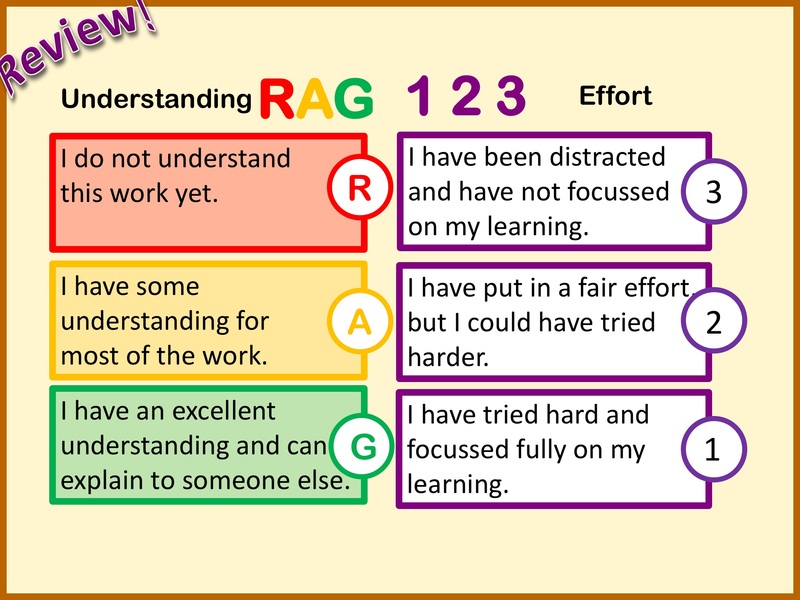 This would also help with the pupils who immediately put up their hand to say they don’t understand, and give some of the responsibility back to them to read through and think about what they are doing. The quality of the improvement comment by the pupil was discussed. Clearly saying that they were going revise a topic by a certain method does not mean they actually will, so did we follow up? And then there were the pupils who didn’t even complete the .com (could this have been because they were absent) and how do we follow up with this? It was discussed about training pupils how to use the ebi.com process, and this must involve both modelling to them and providing examples and good improvement work. We talked about our assessment feedback sheets, and who should write the http://www. Normally, the teacher does, but as we give the pupils the question level analysis, should pupils be scrutinising the objectives and picking out what went well themselves, rather than the teacher repeating writing them out. For home work marking, an idea from a teach meet was to have a printed out list of the objectives you were assessing, and to tick those that went well, again to save the teaching keep writing them out, thus giving more time to focus on the even better if. There was the question of signposting the .com as well. We do use green pens for this, but there were several examples where it wasn’t clear where the .com was, for example when a green pen hadn’t been used and improvement work was on the initial piece and not underneath. We looked at examples where improvement work had been highlighted to guide pupils to what they need to improve, with guidance in the ebi. There were also examples where the ebi might just have been a question number, but when you look at that question, further guidance was given at that point, rather than in the official ebi part. Another part of the discussion we had was when was the best time in the lesson to do the feedback and the .com. I’ve always done it at the start of the lesson, but it does cause an issue of getting drawn out and having to provide further work for those that complete it, before we’ve even begun the lesson. The argument for using the start of the lesson is that pupils need the feedback and improvement time before they can move onto the next part of the learning. We have agreed to try the .com at the end of the lesson instead. I’m still getting my head round how this will work with the flow of learning, for example when feeding back on an assessment, I wouldn’t like to start the new topic first, then return to the previous topic to do some improvement work. However, the idea is to improve the focus of the response, and having a limited amount of time should spur pupils on, especially if it is before a break or lunch time! In ebis, highlight when pupils are being told what to do in their .com e.g. correct Q2 etc. Ensure students signpost in .com when they have done follow-up work elsewhere. Put a selection of questions on board and use a code in pupil’s book so they then complete the correct question in their book. Make sure work is dated (either start of piece of work or in the feedback). Use 10 mins at end of lesson for .coms to increase pace and ensure completion to high enough quality before they pack away. Use mini post-its in books where .coms are not completed so pupils can be kept behind to do so. Give detentions were pupils refuse to complete .coms.